It's a Profound Formula for Success! | Let's Biz Up! You are here: Home / 2014 / November / 05 / How Bad do You WANT this? Want to hear a Profound Formula for Success? yet most people either *miss* or *ignore* it. You’ll see people trying to grow a successful business by either selling their own cheap products under $100 bones, or they’re trying to seek out small commissions as an affiliate (or even worse). Cheaper products are good but only as “a lead generator” for your business, but that’s it! I you read the book from Dan Kennedy on how to build a Million Dollar Business in 12 Months, you’ll understand what I’m talking about. In the book, he has a neat little diagram that outlines how many steps it would take to get to your first $1 million dollars. Take a look and compare it with what you’re selling in your business right now. And if things are looking bad, I just might have a fix for you. Either way, you’ll need to make a change and “correct” your own steps. Pretty revealing, don’t you think? Think it’s easier to take 100 steps or 100,000 steps? I’ll tell you… taking less steps is easier, more lucrative, and even more fun! Now the big takeaway here is to think BIGGER and sell bigger offers > High Ticket Sales. There 2 systems I’m a member of and both are specialized in training and educating (new) internet marketers in setting up their Business AND how to generate High Ticket Sales. It not only trains you and guarantees you’ll get these high ticket sales, but it also provides you with WHAT to sell, as a lot of people have a challenge with that part of the equation. Furthermore, it a has a professional Telephone team to your disposal to follow up with your leads and to close the sale! Because when I started my Online Business, I could literally taste how bad I wanted to succeed. … but desire it NOT enough! You have to TAKE ACTION and do something in order to change your life. As much as I want to help you succeed (and I do), I can only take you so far: give you the keys to unlock the door, but under the condition that YOU walk through it! … the upper echelon that only the TOP 2% of online entrepreneurs reach! 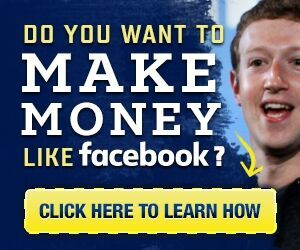 And when you do, you will be in the elite company of the VERY FEW people who make real lasting money in this business. But, if you do nothing…, you may make an acceptable (even good) income as a regular online/affiliate marketer, but you’ll be just one step away from the kind of money that really changes lives. It’s so close… you should feel like you can almost touch it. So, go ahead, walk through the door and try our Profound Formula for Success! I have a “Top of the Bill” Business Opportunity for you which I highly recommend. It’s a Top Tier Business Opportunity with high ticket sales and also a quality step-for-step video tutorial, click here. Both systems are real money making opportunities. Choose the one which fits you most and be ready to receive a lot of extra Free training material when joining my team!